Le Nouvion-en-Thiérache Le Nouvion-en-Thiérache Considering the damp conditions within the tent after yesterdays rain, I think I've slept acceptably well. I don't think it rained in the night so hopefully nothing has got any more wet. As my eyes open I try desperately to see through the tent to assess the weather but all I can see is the blue material. It looks neither dark or light, sunny or grey, just that sickly pale blue that's greeted my eyes for the last 5 mornings. I'm awake now so I may as well get up and see what the weather is like rather than trying to x-ray through the tent. Dampness spreads like a virus. My once dry clothes I had on last night have become damp as they've lain on top of the damp saddlebags and airbed. The tent is not leaking but there are puddles under the bags and I dip my sock into one as I dress, not nice at all. I eventually manage to squirm, wriggle, curse and fight my way out of the tent into the daylight. And it is daylight! Not quite sunshine but there are only a few scant clouds and it seems the sun should be climbing over the top of the trees anytime soon. Oh joy! There's hope, there's a chance that I may dry out, there appears to be every possibility that this will not be a washout. Sunshine, such sweet warm sunshine! Still blooming deserted though. I visit the toilets. Even in the glory that the day is trying to bring this place is as dark and as gloomy as a medieval dungeon. There's no seat on the toilet, it's number 2 time and as I'm a bloke I've never learnt to "hover". Cold and unpleasant, it feels so unclean even though the toilet itself is not dirty. I consider a shower but all you get is a cubicle without a little corner, cupboard or seat where you can place things that need to stay dry, such as your clothes. Anyway I'd need to pay for a token and I'm not going back into the run down wooden office to talk to the surly man again. I'll wait till the next campsite. No toilet paper either, luckily I have my own. No soap either, luckily I have my own. Outside the sun is now up in the sky which makes everything that little more joyous. I notice my Dutch cycling friend is up and about too. In fact he's already done most of his packing and all that's left to do is take his tent down. His tent is a Coleman 3 man. 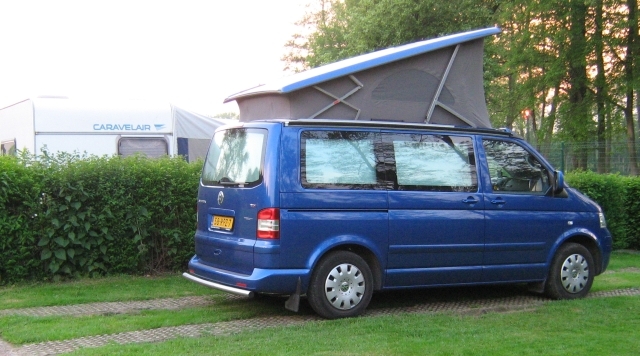 It is a very clever design with a large "door" in what I would call the side of the tent. This means he can get in and out quite easily. We talk of tents and he makes a profound statement that chimes an ultimate truth in my head, "The tent can make or break your trip". He is right, so very right. I daresay I would have enjoyed this trip so much more if I'd brought my larger tent or owned one that was as well designed as this gentleman's. The Durch cyclist is all but ready to leave on his long journey to Rome. With saddle bags both front and rear on his cycle, his tent and a large roll across the rear rack he's ready to go. We say our goodbyes and he sets off with a wobble and a weave. I'm amazed and I feel so amateur compared to him. As I dismantle my tent I spread everything out around the place hoping that the warming sun will dry things out. In my head I'm thinking what it must feel like to be 67, to have 2 false knees, to have had a stroke, to be half way round the world from where you currently live and to be cycling well over a thousand miles. I can't decide if I'd be amazed or terrified. I wish him well. Today's plan is much like yesterday's. 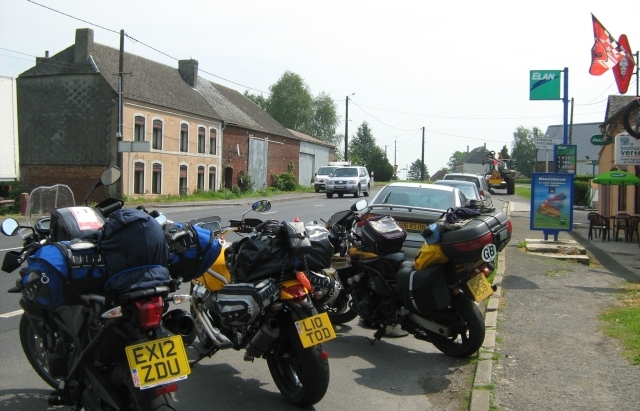 The idea is to get back into North East France, somewhere around the Cambrai or Saint Quentin area. That's a journey of approximately 120 miles today which leaves plenty of time to get lost, to have breaks and to enjoy the ride rather than pushing on. It also means I'll be only 120 miles from the coast. I'll be at the coast a day earlier than required so if anything goes wrong I'll have some leeway, otherwise I'll spend a chilled out day at the coast. According to my map I should be able to catch a motorway from Bastogne that will run me South back to the French border. I find the motorway OK, but once I'm on it I get the feeling something's wrong. Erm...sun rises in the East, sinks in the West...it's about 0800 GMT so at this time of year and this time of day the sun will probably be West by North West. In which case the sun should be roughly on my left side slightly behind me if I am to be heading roughly south. So why is it dazzling me then? I pull off and make a U turn across a broad deserted road. Where is all the traffic on the continent anyway? I get back on the motorway and this time the sun is where it should be. Motorways are not really the best way of seeing a country, but they do have some advantages. Because you're not constantly battling with junctions, bends, lights and roundabouts you can afford to take a moment to look around. I can legally go faster but I keep my speed to 60mph and make an effort to see what the Belgium countryside is like. Here there is more of the vast rolling farmland. In the distance occasionally there's a small town marked by a church spire, and patches of woodland. In the sunshine it looks very rural. As I ride along I feel good, the weather's fine, my gloves are starting to dry a little and I'm going in the right direction. Well...I was. That was until I burst my bubble by noticing a slip road with some important looking signs to my right, that is already passing me by. I figure it's not a problem as the sun is still in the right place and I'm heading South, but maybe South East not South West. I leave it a few more miles then I notice signs for Arlon, a place I've not heard of. I spot a sign indicating some sort of services or rest area, I pull off to consult the now worn out page on my map. Belgium services are not what I'd expect back home. There's a large car park with markings for cars and lorries, 2 plastic portaloos and a small playground. No buildings, no fuel, no shop and no restaurant. This is not a services, this is a very large lay-by. I laugh to myself and my stupid expectations then get the map out. It seems I'm heading a little more South East than I'd planned so I make a note to head to Etalle and pick my way to the border from there. I've been re-routing myself all week, I'm getting rather good at it now. So...this is what the Belgiums call "Motorway Services"...? I spot an exit that's marked Etalle and follow it. I ride for a while through countryside along straight roads that feel much more French. I pass without notice through Etalle, closer and closer to the French Border. Another small village complete with bakery and a handful of smart cottages passes by then remarkably I spot an indication that I'm now back in France! Every border I've crossed before has nothing to tell you that you're in a different country. 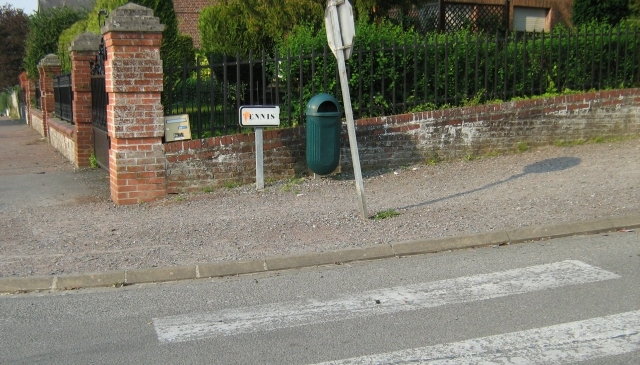 Here, between two sleepy villages there's a small sign that indicates the change in speed limits from Belgium to France. That's it though, no "Welcome to France" or "Thanks for visiting Belgium". I know immediately that I am indeed in France. The paint on the houses is peeling off, the footpaths have changed from tarmac or paving to gravel and broken concrete, all within the distance of a couple of miles. I stop at a small supermarket in a small town and get an apple and a drink. As I look about I notice the French cars seem dusty and battered. It's definitely a different culture in France. The sun shines on me and this drink tastes good. An elderly French lady smiles at me as she throws shopping into the rear of her car and says "bonne journée! ", good day. Gravel on the footpath, faded paint on the pedetrian crossing and a leaning signpost. Yep, definitely France. I have an odd feeling as I pass yet another rusting metal barn with it's doors hanging off. Germany, or the bit that I've touched, is much nicer than the corner of France I'm in now. It's smarter, cleaner and everyone seems to take more pride in their belongings and property. But, and this is a huge but, if I look at my own bike, dirty and used and frayed at the edges, if I look at my own house, unmodernised, lived in and functional rather than pretty, I see more affinity to the French than the Germans. I think of back home. Cars and houses are status symbols. We all aspire to at least the 3 bed semi in suburbia and then onto quaint thatched cottages or smart modern apartments in the des-res areas. I see BMW's, Range Rovers and Audis everywhere I look and even the owner of the small hatchback will take pride in keeping it clean and treating it to shiny trinkets. It's all got to look good, it's all keeping up appearances. I get the feeling here in France the attitude is more functional rather than aesthetic. A car is a tool to go shopping with or for ferrying kids about. A house is a place to sleep and eat not a statement of how successful you are. Maybe I like France more than I thought. Somwhere along the border I stop to take this picture. Impressive. I'm on a long straight French road. That's one thing this part of France lacks, good corners and twisty roads. They are probably out there, I just don't know where. It's getting quite hot now and I'm starting to shuffle as I sweat a little. Time for a break. Up ahead I see a motorbike fixed on top of a post, like a sign post. I pull in and park up, carefully. There is one big problem with riding on the wrong side of the road, camber. In the UK normally we'd stop on the left, the motorcycle side stand is always on the left and the bike leans left with the stand and the camber of the road. On the continent typically you'd stop on the right. Therefore the camber pushes the bike upright, often more than the stand leans the bike left, making parking on the right hazardous. So I park carefully, pointing the bike outwards to reduce the camber effect. Inside the small café or Tabac there's a TV playing French MTV, one customer and the shopkeeper, or barman depending on what you think a Tabac really is. I order another cup of tea and I'm not surprised any more when I find it's weak, flavourless and the tea bag refuses to release any tea. Still, I'm getting used to it now. At least I can make my own tea at the campsite using the stove and my UK supply of proper tea bags. I also have a Twix which I dunk into the flavourless tea, the barman's face shows his disapproval. Middle America? Only in my vivid imagination. Hot enough though. My fantasy ends when I hear a V-Twin rumble coming down the road. For a brief moment my havoc wreaking girl chasing gang has arrived but as 2 motorcyclists park next to my bike I realise one's on a Moto Guzzi the other on a modern Triumph. As I stand by my bike, the guy on the Guzzi parks in front of me. He promptly falls off, towards me! I almost catch him but he's too far gone and I stagger into my own machine. There's a moment where I'm trapped between my bike, the Guzzi rider and the Guzzi itself. My bike wobbles precariously as I try to hold the Guzzi and I think it's all going to go. It doesn't. I hear a mumbled curse from within the Guzzi rider's helmet, I don't know what language it is. He wriggles out from beneath the Guzzi and I order him in English to get the bike up, soon! The longer a bike is on it's side, the more problems it causes with batteries, oil, coolants and any other fluids. We both heave and soon the Guzzi is up, before the Triumph rider has time to dismount. Both riders remove their helmets, the Guzzi guy looks flustered, and I'm greeted with "Sorry bout that mate!" They're English, Southern Shandy drinkers but English. They're on their way to some bike event further south somewhere. We talk a little but the Guzzi guy is ready for a sit down, probably to settle his nerves. There's a scratch on the Guzzi's radiator cover and it's bled a little fuel, other than that it seems perfectly serviceable. As they go inside I take a few more photos and make sure I've not damaged anything on my bike. It all seems to be in order. I realise my helmet was placed on the opposite side of the bike, if my bike had fallen I'd have a crushed helmet right now. I realise that everything is chance and everything is fragile. Liberating, and scary too. The Triumph, the Guzzi and my bike. It all turned out alright in the end. I'm in the area I want to be camping in. I enter the town of Hirson and much to my surprise I find a campsite! I follow signs to the site and it looks very smart indeed. It's also closed between 1300 and 1700, it's now 1330 and I don't fancy waiting around for 3 and a half hours. I head out to explore and see what else I can find. I find countless small French villages, they're quite smart around here after all my comments before. I find narrow lanes and big fields. I find a few bends and corners. I find a war memorial and municipal buildings. Whilst I do all this I'm quite calm and relaxed, completely lost in the middle of somewhere. I'm calm because if all else fails I can go back to Hirson and the site. This is just killing time and looking around. I get a little closer to Cambrai and get lost, a little closer still then lost again. I stop to drink water and take in the landscape, then carry on a while and see more. 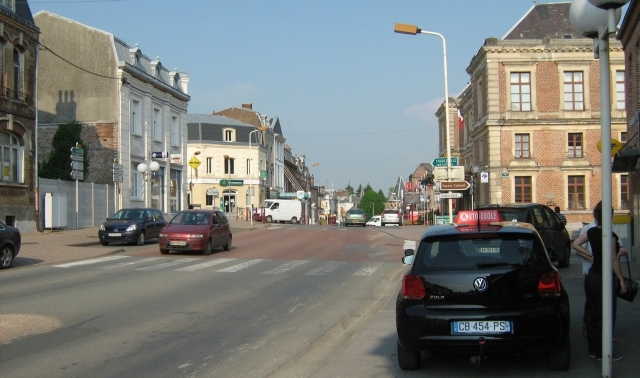 On the main road between Hirson and Cambrai I'm in a small town when I spot signs for another campsite. I follow these only to find roadworks and a diversion. Damn. I follow the diversion but get lost, ending up in a small sports complex. I stop to gather myself and I see, just through the trees, caravans and what looks like a campsite. I follow a track in that direction but as the road deteriorates to gravel and mud I turn around. I can see it but I can't reach it. I try another route and I seem to be heading out of town. I'm about to turn back when I spot a camping sign so I follow that. It leads me straight to the site, the same site I'd seen between the trees. It looks entirely different from last night's digs, it looks sunny, welcoming, smart, tidy and inhabited. I park and walk to the reception, there's no-one there but within a second a smiling friendly lady greets me like an old friend. After the usual confusion of language I establish this lady is not...NOT an English speaker and I welcome the chance to test my French some more. I also establish this is not reception but her home. I wondered why it was locked. Reception is not ten paces away in the building that looks like, ahem, a reception. Inside with just a tiny little help from a younger assistant who speaks a little English I work out that the charge is a mere €5.50 per night! I can also order bread or croissants to be delivered at 0800, I order 2 croissants. I'm accompanied by my delightful host to a choice of large smart pitches separated by trimmed hedgerows and the shower block is pointed out to me. We talk, as best we can with my poor French, about my trip and my bike for a few minutes then she bids me "bonne journée!" before leaving to attend to another customer. The smart reception and toilet block at Le Nouvion-en-Thiérache. There's a lot of work been done here. This place is so nice. The toilets are clean, with seats and toilet paper. The shower cubicles are clean with a corner where things can be kept dry. The grass is well kept, the whole place looks smart and there's even a "common room" for want of a better word. It's a small room with 4 tables and plenty of chairs. Nothing more, nothing less, but if it's raining or even too hot this could be a little haven for a little shelter. Sometimes it's the simple things that can make a place special. I pitch the tent and settle in. It's very hot now so I place the washing which is pretty much dry on the tent for a final airing. The tent itself is almost all dry from yesterday's deluge except for the groundsheet. It may dry in the heat but there's a few big puddles remaining, I doubt these will dry any time soon so I remove my sweaty t-shirt and wipe the groundsheet dry. 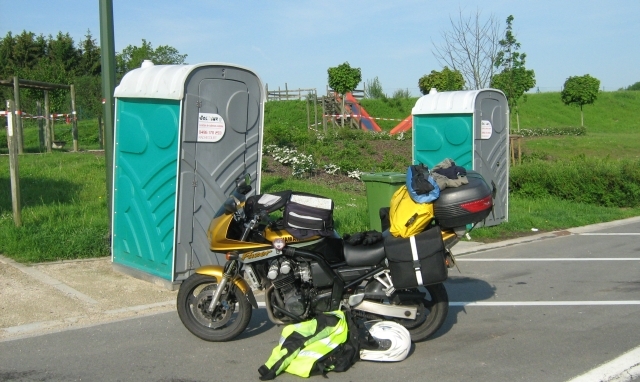 I grab a clean t-shirt and take the wet and dirty one for a wash. After finishing setting up the tent I lean against the bike, I still miss having a chair. A modern VW campervan arrives and is guided by our host onto the pitch next to me. As a grey haired gentleman sets up his van I collect my gear to walk back into the town. My host has given me directions around the pond and through the sports centre where I'd been lost before. I walk into town, along broken footpaths and past houses, old and modern, in various states of repair. All is quiet, there's little sign of life apart from the occasional car and glimpses of TV's through open windows. Le Nouvion-en-Thiérache is only a small town. There's a church with a bell that sounds broken, a small collection of shops, mostly closed and a few municipal buildings. I'm in search of food and so far I can't find an open shop of the food kind so I head towards a large "Pizzeria" sign. The large sign belies the small empty restaurant. Hmmmm, I'm not so sure about this place. It's completely empty, there's no-one at the counter and it looks a little rough and ready. I'm about to leave when a young French couple enter, I guess if it's good enough for them it might not be so bad. All three of us stand there, waiting for service, when finally a large loud woman arrives making unrecognisable remarks. From her tone I guess they express her surprise at having no customers then three arrive at once. I fluster around the menu I've had thrust into my hand. She's not rude, quiet friendly actually, but overpowering, I can see I'm not getting out of here without buying something. She speaks no English and even when I ask her to repeat because I don't understand she just babbles on and on at me and I look puzzled. I focus on the menu while she deals with the young couple. I decide I can recognise chicken, tomato, cheese and chilies, I think, so I point to that on the menu. She babbles something else and I just look at her in bewilderment. She ushers me, forcefully, through the tables and chairs, down a hallway then I'm encouraged to sit in a small courtyard with tables and chairs, shaded by a canvas canopy. I do as I'm told and order a coke. I fear I may be trapped in these surreal surroundings for some time to come. I don't know what happens to the young couple, but I never see them again. 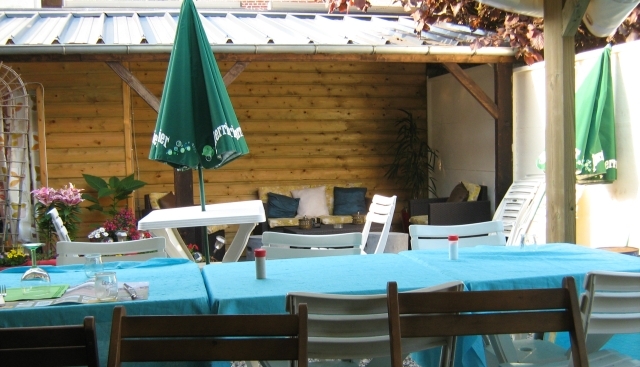 I sit, alone, confused and slightly miffed in the courtyard awaiting my order. I get my coke first with another torrent of babble then a while later I get my pizza. It's not that bad, actually it's quite good. In a perfect world I prefer a deep base and maybe more chicken, but I've had far worse. I eat my meal, cheekily rolling the pizza up and eating it kebab style rather than using the cutlery supplied. I think I'm OK, my over-enthusiastic maitre d' is not in attendance at present. When I've finished I go and pay as quick as I can before I'm forced to have afters. There's still no-one else in the place, it's all a little creepy. I've definitely had enough so I head back to the peace and safety of the campsite. At the site the VW campervan gentleman is sat outside his van in a chair that I eye with envy. He's alone so I approach,, noticing the "NL" on his number plate. I know he's Dutch and will, in all likelihood if previous experience is anything to go by, speak English. He does, perfectly, to my shame. He's a healthy and bright 60 something year old who loves to tour Europe in his van. Sometimes alone, sometimes with his Iranian girlfriend who's currently in Russia learning to speak Dutch! Again I am reminded just how small, narrow and juvenile my knowledge of the world really is. We talk, at length. He seems happy to stand and offers me space on the step of his van. We talk of where we've been, his list is much longer than my own. We talk of travel, of places to go, of attitudes and of work. I learn that he's actually lived in India, I get the impression he followed a Guru there and enjoyed the commune life. He later ran his own management consultancy business, I guess it must have been successful to some degree as he can afford to travel Europe in his smart van. He's well read, intelligent and open minded. He does not judge my lack of experience at all, instead he welcomes me into travelling and encourages me to do as much as I can. I learn he likes to stick to Europe these days, it's safe, beautiful and has everything you'd ever want. We also talk of something I've thought about a lot on my trip. Travelling alone versus travelling with company. Before I left I was concerned I would be lonely. It's not loneliness that I need to worry about, it's having "dead" time. The time when nothing's happening and there's nothing to do that I'm afraid of. Having company reduces this time. Not having company has it's up side too. When I'm with the gf or with friends there's the stress of having to consider others. I feel the need to know that others are happy doing what I'm doing, I have to consider if they may be tired, hungry, bored or not in the mood. Travelling alone I've had to worry about no-one other than myself, and I can handle worrying about me. Franz, the Dutch traveler, listens and nods his understanding. He also points out something amazingly obvious, yet it comes as such a revelation! When you travel alone it is so much easier to meet people. It's been staring me in the face on this trip, and the occasional previous solo breaks I've made before. If you are a couple or with friends, you don't make any effort to mix, when you're alone you do. I approached Franz, something I'd never do typically at home or when I'm on holiday with the gf. I've approached many people on this trip, as I sit and think about it pennies drop, connections are made and whirlwind of experiences all start to make sense. It's also easier for others to approach the solo traveler. If you're a couple or in a group you talk between yourselves, in your own language. Other people are put off approaching you as you have support and your conversation is closed between yourselves. A solo stranger poses less threat and is always more likely to be open to talking, we are a social creature. Franz does not dismiss traveling with others, he loves to show his girlfriend the delights, but he also balances that with his own solo journeys. It sounds like a perfect compromise. It's getting dark and Franz politely suggests he may turn in for the night. I agree and set off to the toilet block, my mind is full of thoughts and ideas as I perform my ablutions. Back at the tent I feel so much more positive for my talk, for what I've learnt and for what is still to come. I roll off to sleep easily in the warm evening air, after further cursing the small tent and wondering if I could ever afford a VW campervan.